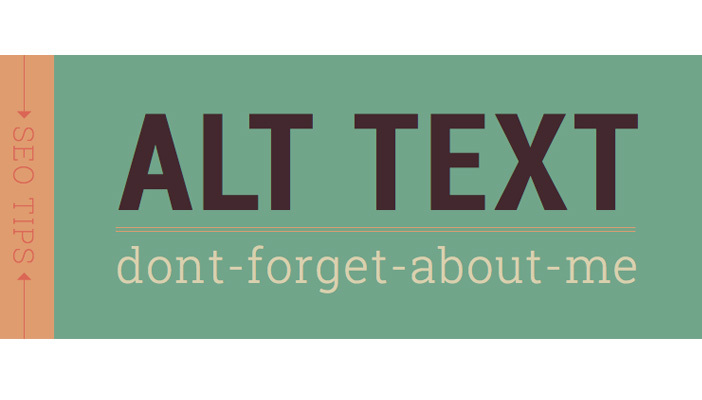 One of the most frequently asked questions we receive is "Should I use ALT text?" Arguably, a better question would be "How should I use ALT text?" Unsurprisingly there is a bit of confusion surrounding this topic, but I hope to clear up some of the accessibility issues surrounding Alternative (ALT) text, and provide you with a clear guide on how and when best to use it. ALT text is typically used whenever an image is placed on a webpage, and is used to describe what the image is. Its use is popular as it allows web images to be 'searchable' and is said to increase search engine optimisation (SEO). While its use is seen by some as best practice, ALT text can often cause issues with accessibility. For blind and partially sighted users who rely on screen readers such as JAWS or NonVisual Desktop Access (NVDA), ALT text can create unnecessary 'noise' that can detract from the rest of the page. To avoid such 'noise', please ensure you ask yourself the following when determining whether or not to use ALT text. Does the image convey any meaning that would be lost if the image was not viewable? Is the image mostly decorative? If the image contains valuable information such as numerical data on a graph, contextual information, or conveys another meaning that would be beneficial to the understanding of the page for a visitor, then it's best practice to use ALT text. However, if the image is purely decorative and serves no other purpose than to be aesthetically pleasing, then avoid using ALT text altogether. When using ALT text, ensure it flows within the text of the page so that it doesn't distract from the rest of the content. Try to create short and succinct pieces of information, ensuring that it's in-keeping with the tone of your content. There are no hard and fast rules about creating good ALT text, as this is largely based on the context surrounding the image. For specific examples, please visit Webaim's Alternative Text. In short, Alternative text can be used and be accessible on the web. If you take a considered approach, ALT text can be an invaluable source of information that is accessible to all your visitors.